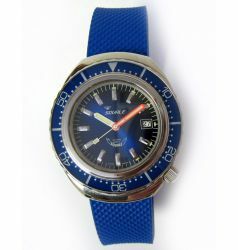 The great Swiss tradition of precision watchmaking, combined with a love of the sea and diving, were the two factors that led C. Von Büren to work exclusively on the construction of professional divers’ watches from the early 1950's. 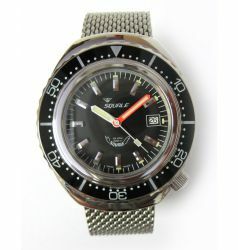 Initially the "Squale Watches" mark appeared on the cases of Swiss watches of various makes, as a sign of fine production and a quality symbol. 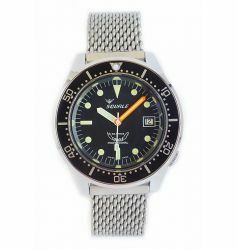 Then, in the 1960's, Von Büren started to produce watches that also had the Squale mark on their dials, starting the brand’s institutional and commercial history. 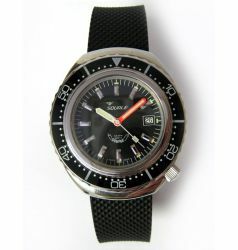 The first sporting successes, such as the world diving title won in Cuba in 1968, were linked to the names of products that had become as legendary as the medium, Master 50 atm. 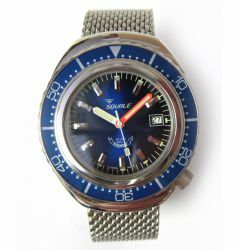 The 1970’s saw the birth of the first "1000 metre" watch with glass on flexible mounting and snap-on lunette which could be turned in both directions. 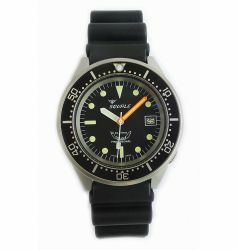 Squale Watches continued to produce for other brands and started to supply the elite corps of a large number of armed forces, including the parachutists of Italy’s Folgore Brigade and the Italian Navy’s Diving Corps. 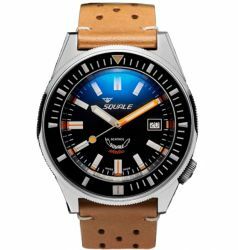 All this has made Squale synonymous with quality and the benchmark brand for divers’ watches internationally, a status it has enjoyed for several decades. The brand’s philosophy is about integrity, professionalism, experience and passion. 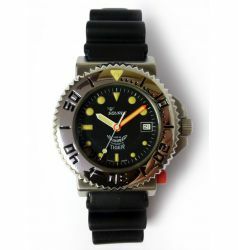 To make unique, inimitable watches, elegant, minimalist design and high-tech materials are not enough. 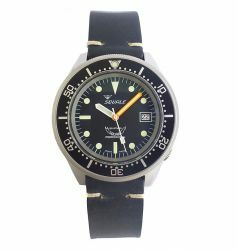 The secret of Squale watches lies within, in the way they are designed and constructed: friends of the sea, because they are immune to brine, and faithful companions of the most demanding divers, because they are reliable, always. 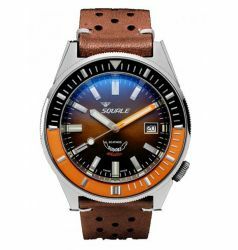 The great Swiss tradition of precision watch making, combined with solidity and durability: as tradition demands, the case is made throughout from Swiss 316L steel. The components are all Swiss, too: winders, winder sleeves and gaskets. These are essential parts for a watch that has to withstand high pressures and salt water. 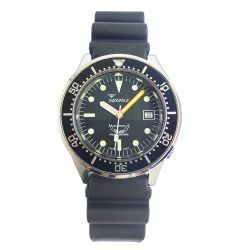 Watches are painstakingly assembled by master watchmakers, taking the greatest care over the fitting of the gaskets and ensuring that the case is airtight; this then undergoes strict checks, with regard to both resistance to water and timekeeping accuracy. 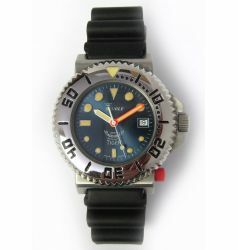 Quality tests are performed on every single watch and not on a sampling basis. 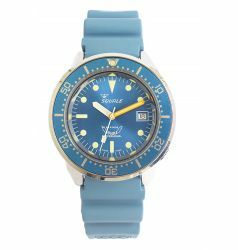 Last but not least, the movement’s reliability is certified by the fact that Squale Watches has always been a direct customer of the ETA Factory at Grenchen, guaranteeing that all movements are of prime quality.